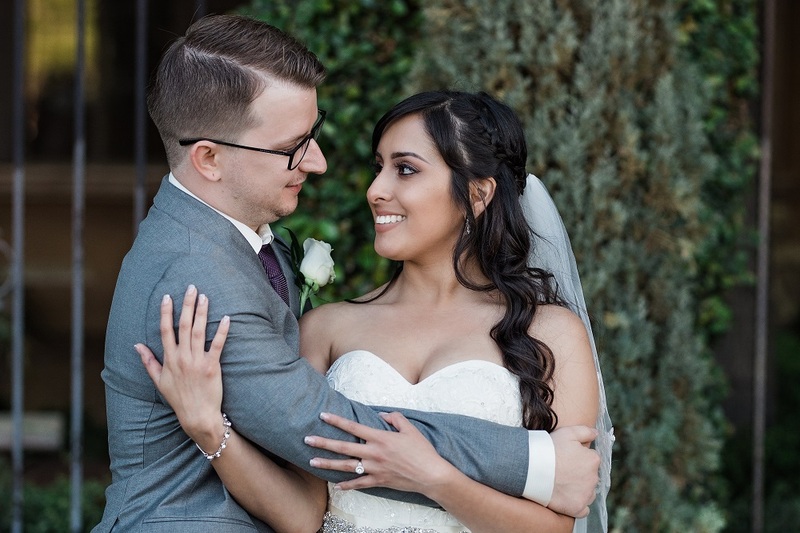 Ashley and Mark, who met years ago at a graduation party, were married on March 15, 2018. Ashley looked radiant in a strapless trumpet gown with a sweetheart neckline, jeweled belt, bow back, and train. Her accessories included drop earrings and a hip-length embellished veil. Her bouquet featured a variety of blooms in white and various shades of purple. 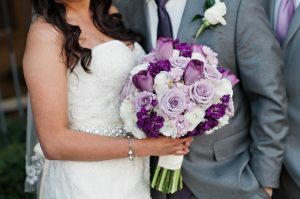 Her four bridesmaids wore sleeveless full-length purple dresses with jeweled straps and carried smaller versions of the bride’s bouquet. 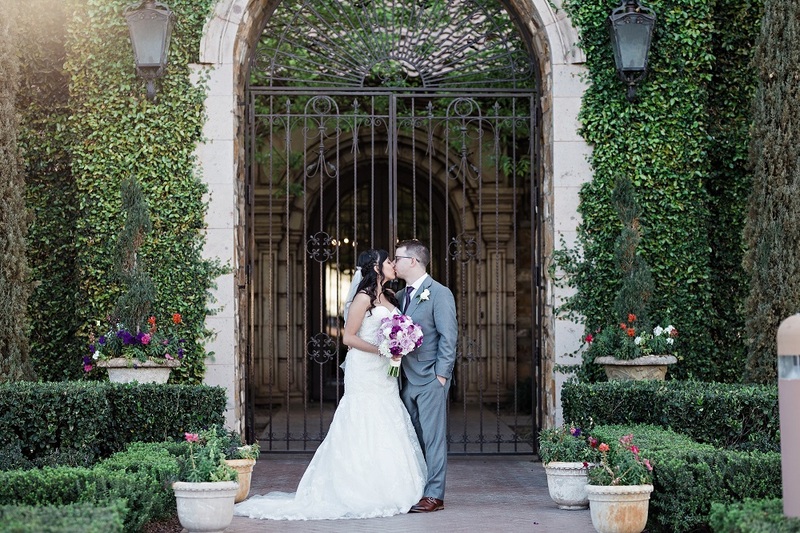 Mark wore a gray suit with a white shirt, purple tie, and white rose boutonniere. His seven groomsmen wore gray suits with a variety of purple ties, and purple rose boutonnieres. During the ceremony, the couple’s fathers spoke; Mark’s father reminded the couple that in marriage, the little things are the big things, and Ashley’s father expressed his wishes that the couple would have patience, gratitude, and happiness in their life together. Mark and Ashley lit a unity candle to signify their new marriage. Inside at the reception, guests dined on pasta with a choice of pesto sauce or pink sauce, along with chicken Parmesan and chicken Francaise. The best man and maid of honor gave toasts to the newlyweds. Ashley and Mark danced to “How Would You Feel (Paean)” by Ed Sheeran. Ashley and her father danced to “Daddy Dance With Me” by Krystal Keith. The groom’s cake was made to look like a golf course.